NEW YORK -- Yankees rookie sensation Aaron Judge says he has been invited to participate in next month's Home Run Derby. Judge said Tuesday that he received the invitation last week through his agent but had not yet decided whether to accept. The 25-year-old outfielder, a towering presence at 6-foot-7, leads the major leagues with 23 home runs, tops the American League with a .335 batting average and is tied for the AL lead in RBIs at 53 with Seattle's Nelson Cruz. "I'm just thinking about what I can do for the team right now. I haven't really thought about it yet," Judge said. The derby will be held at Marlins Park in Miami on July 10. The Marlins' Giancarlo Stanton is the defending champion after winning last year at San Diego's Petco Park. 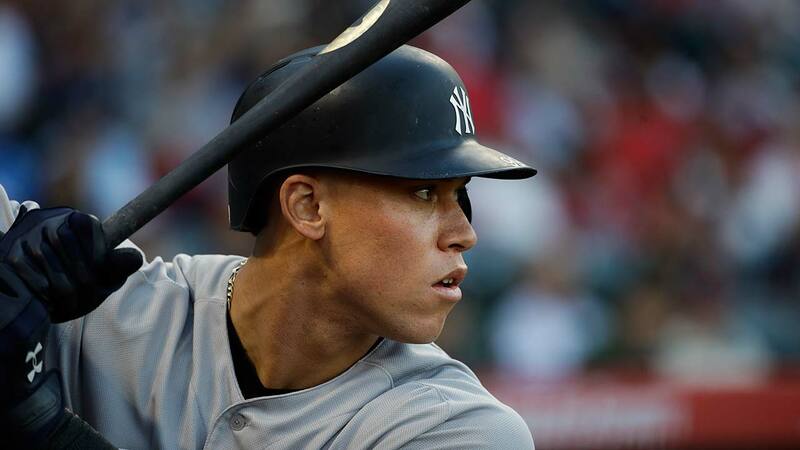 New York manager Joe Girardi said he isn't worried about Judge picking up bad habits in his swing because of the repeated exertions in the derby and extra batting practice before the event. "I watch him take BP, and he uses the whole field. So he'll do the same thing," Girardi said. "Players, you want them to go enjoy the All-Star Game because it's something they've earned. But you do worry about fatigue for those guys because they've got to travel. The good thing is we have a Sunday day game here. It'll be easy to get down there. So it shouldn't be too bad." Judge homered in his first big league plate appearance last Aug. 13. He has hit 10 of his home runs to the opposite field in right this year, four to center and nine to left, according to Fangraphs. Judge leads AL with 2.6 million votes in balloting for starters for the All-Star Game, to be played July 11. Only Washington outfielder Bryce Harper, who tops the National League at 2.8 million, has more.